EMS Wall mount rack is Ideal solution for small networks. EMS Wall Mount Rack are the products having a variety of mounting solution for small networking equipment in areas where floor space is at a premium. It occupies less space. 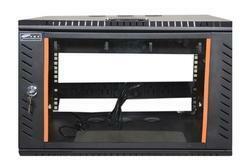 We all offering 6U Wall Mount Rack to our clients. IP 55 Outdoor Wallmount Rack for Rough Environment for IT Products.Available in 4U, 6U, 9U, 12U, 15U Sizes. 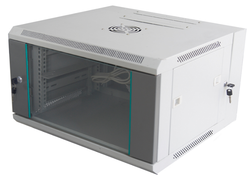 We are offering 6U Networking Rack to our clients.